Ideal Silver Ladies Mask to suit most tastes. 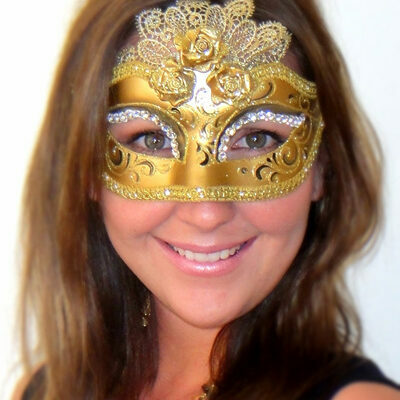 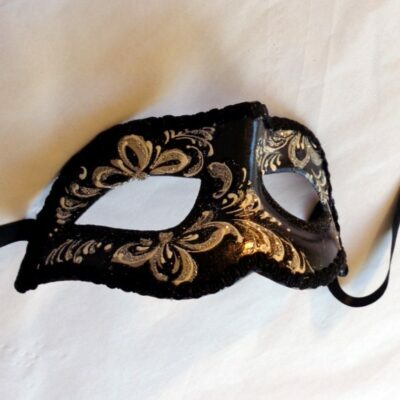 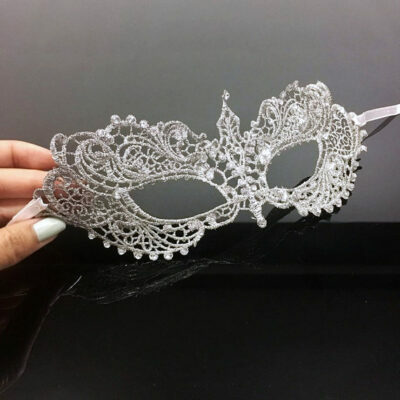 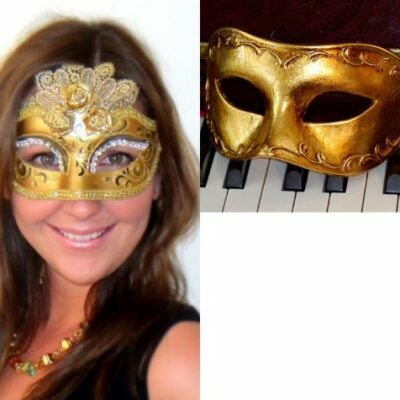 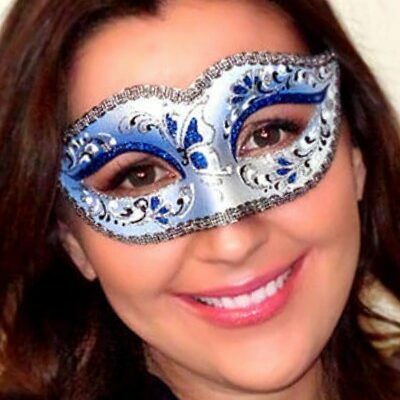 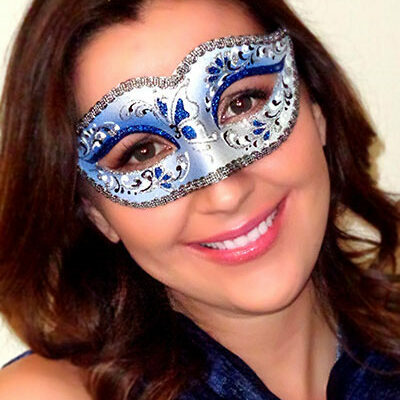 A gorgeous mask, no one will guess your budget as in spite of its price, this mask is excellent quality. 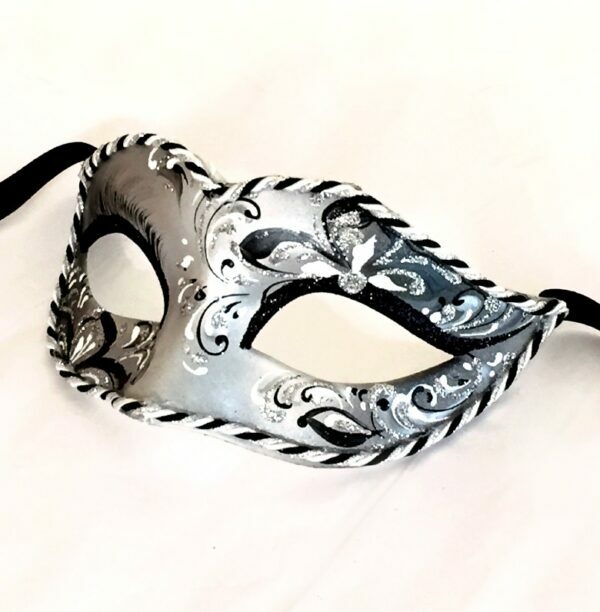 Hand Painted in Venice Italy in modern style on a brief profile that suits petite to regular faces. This perfectly contoured mask is comfortable and light. 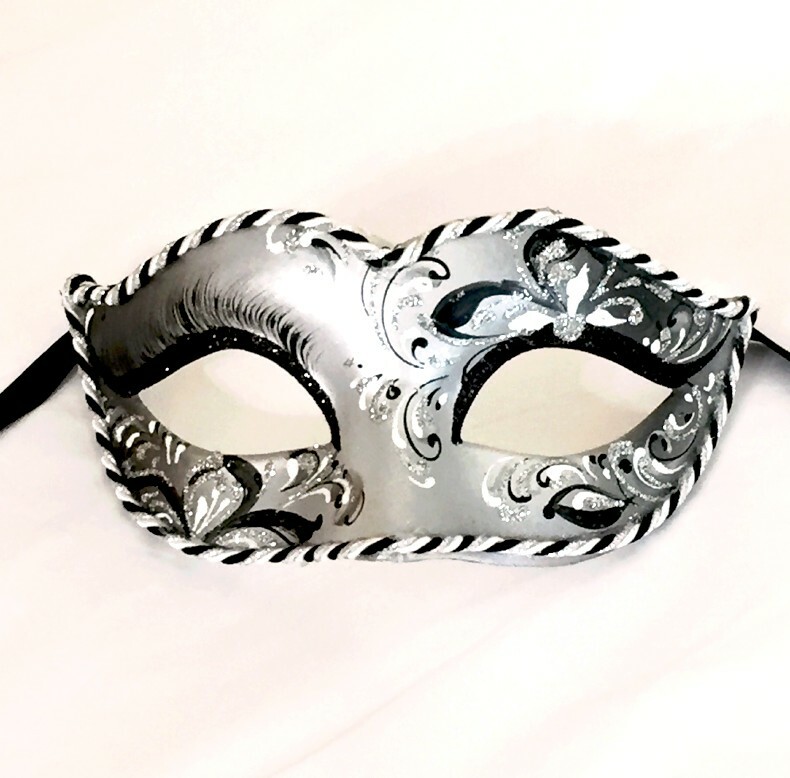 Silver Glitter accents play beautifully against the silver and black artwork. 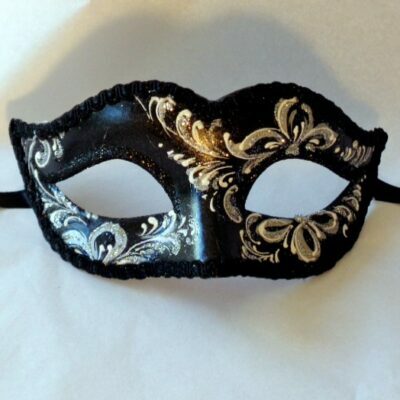 Secured with black ribbon ties and trimmed with braid. 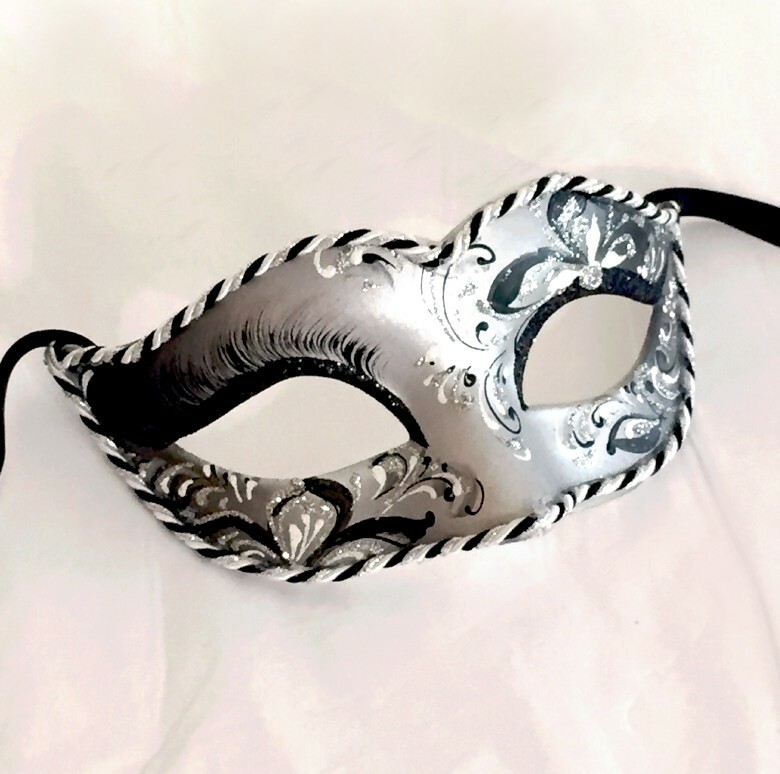 We also do this Silver Black mask with a black back ground.